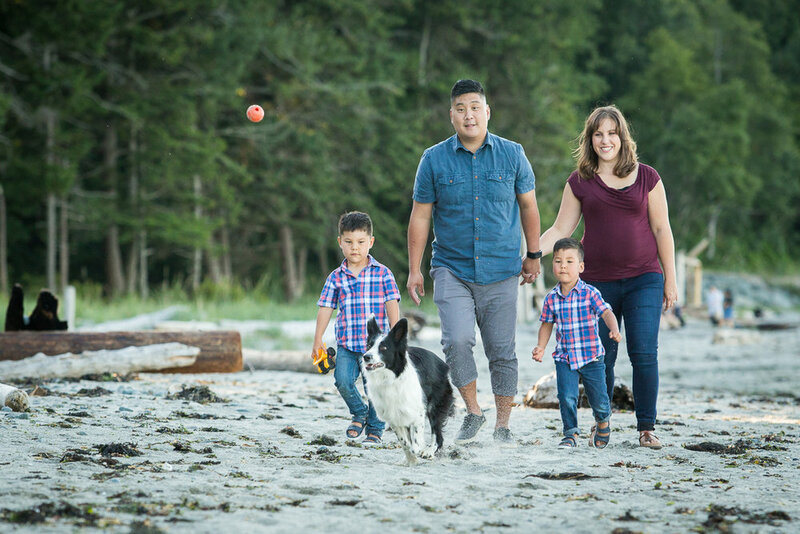 Last weekend I had the privilege of photographing the Kang family out at Kye Bay in Comox. It was bittersweet though, as they are moving to Calgary later this summer. Dan has been our pastor at Living Hope Church in Courtenay since we arrived 4 years ago. We appreciate him and his wonderful wife Sara-Lynn very much. And their boys and dog are pretty awesome as well! It was a beautiful Vancouver Island evening on Saturday, and even though I didn't get the low tide I was hoping for, the mountains showed up in all their glory. Can you believe they're twins?! Natural smiles from preschool boys isn't a given, but I did manage to get a few great ones! I think we were talking about farts at the time. Little boys and dogs don't stay still for long, so very soon they were on the move. I knew I wanted a shot Kaya chasing a ball with the family behind, but she doesn't like to run in a straight line! 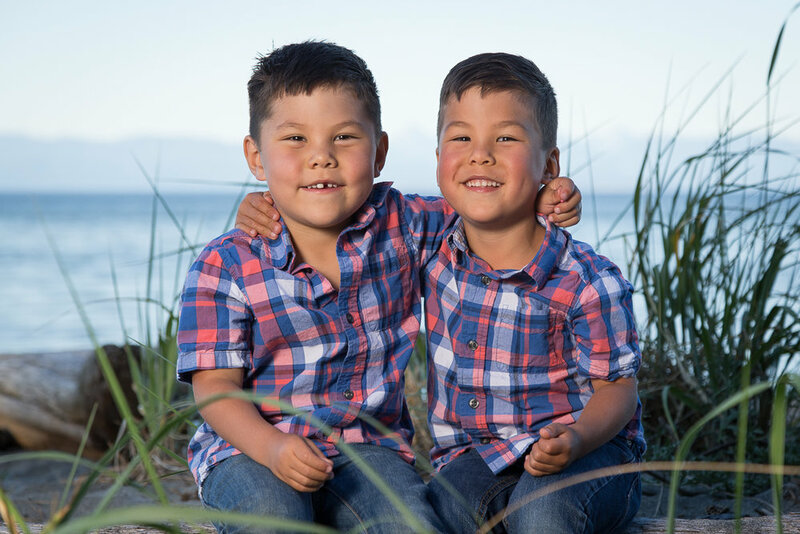 I think the boys probably wondered why I kept getting them to walk up and down the beach. I always like to get the "jumping off the log" shot! And one of the happy couple. And of course, the dog. All the best to you, Kang family, as you head off to new adventures in Alberta! We'll miss you!